LYNN, Mass. -- While many of the pitchers who will join the North Shore Navigators when the Futures Collegiate Baseball League season begins next month have already been announced, Director of Player Procurement Joe Gill, on Monday, welcomed a pair of catchers to the roster to work with the pitching staff. 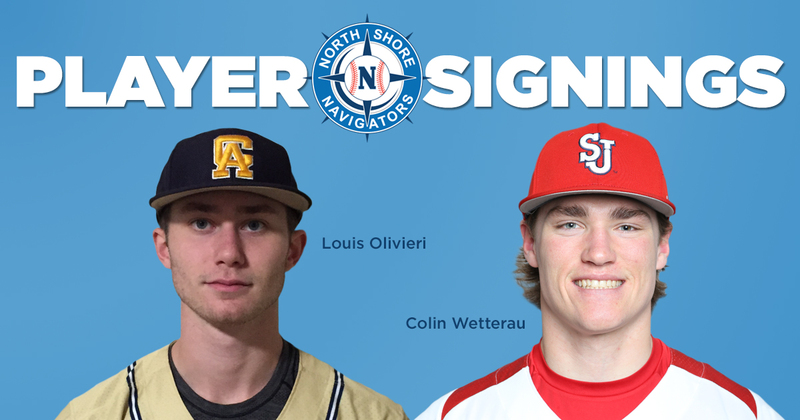 Swampscott native Louis Olivieri and St. John’s University freshman Colin Wetterau will be two of North Shore’s backstops this summer. The team’s announced roster now stands at 22 players. Olivieri will join the Navs following his first season at Central Alabama Community College, where he has posted a .315 average and ranks third on the team with 15 RBI through the first 25 games. The 5-foot-11, 170-pound catcher was a two-sport standout at Swampscott High School, leading the hockey team before earning Salem News All-Star honors on the diamond. Last spring, Olivieri played with Navs teammate and fellow Big Blue alum Gavin Sullivan (Stetson) during a postgraduate season at Cheshire Academy. The 6-foot-1, 195-pound Wetterau has made an immediate impact at the Division 1 level, recording eight hits and five RBI in 15 games while splitting duty as the starting first baseman for the Johnnies. The Medford, N.J., native helped Shawnee High School win back-to-back Olympic Conference championships and also starred as quarterback of the football team, earning two All-Conference First Team honors in both sports. The Navigator roster continues to be unveiled in advance of the 2019 season, which begins on Thursday, May 30 at Brockton. 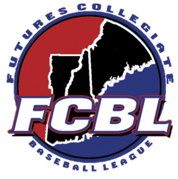 Following back-to-back games on the road, the team’s Fraser Field debut is slated for Saturday, June 1 at 6 p.m. against the Nashua Silver Knights.